METAL PULP AND PAPER: Hello JJ. Thank you for taking the time to speak with us at Metal Pulp And Paper. We appreciate it. We’ll talk more about your 4th album called Arson, which was recently released February 16th on the German record label Art of Propaganda here in a moment, but first let's introduce your band to everyone. 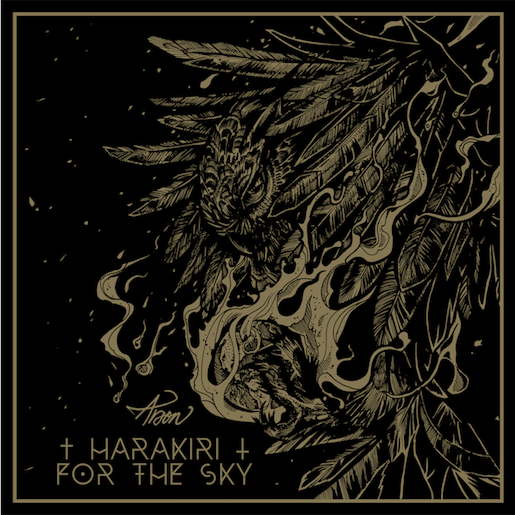 Harakiri For The Sky initially began as a studio project by Bifröst member Matthias Sollak joined by vocalist/lyricist J. J. 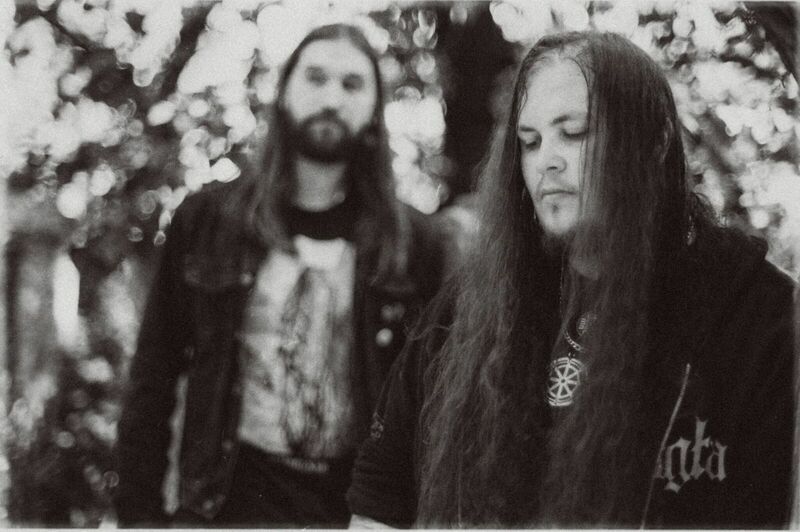 (Michael V. Wahntraum) of Karg and Seagrave and is an Austrian black metal band that formed in Salzburg and Vienna in 2011. What else does everyone need to know about the band? JJ: That’s a good start. Matthias and I met first in 2006 and then quick became buddies. He then became a live member of Karg in 2010, which led to playing music together two years later. That’s it. It’s already getting some great reviews and it is definitely going to make your diehard fans very happy, along with picking up some new ones as well. So, walk us through Arson, what can you tell us about it? What can your fans ultimately expect? J.J.: With Arson we kind of matured. The music is more conceived and thought-out. Lyrically as musically. In comparison to our first three records Arson is for sure the most eclectic one with very different musical influences. Also concerning to the production, we made a big step. Now we sound like we always wanted to and made the best album we were able to at this point of life. To us doing Arson was like a clearance. And as the title already suggests, our intension was to burn everything to the ground, musically as well as lyrically. It’s not until everything is burnt and only ash remains, we can resew new seeds and crop bountiful harvest from a convalesced soil. Arson symbolizes all that and more. MPAP: How would you describe the sound of your new music to the potential new fan? How do you sink the hooks into their eardrums to get them to want more? JJ: The sound is way more balanced than it was on III: Trauma and is a very sensitive compromise between a good and clean studio sound and a heavy, forceful metal sound. Melodies are kinda catchy. I hope the people will like it. MPAP: It has got some great songs on it. All of them are a must listen to, but "Graves We’ve Dug", "Tomb Omnia", and "You Are The Scars" really stand out. Is there any sort of message you’re trying to get out there to your listeners when they hear these and the other songs on it for the first time? JJ: No special message. If they are interested in the message of the song they have to read the lyrics. MPAP: Before you sat down and started to write the music for it, were you wanting to try experimenting doing something different than you had before with your previous three releases? JJ: No, because writing music always comes out the natural way. If not, you shouldn’t write music and just play guitar for the fun of it. HFTS works best, when we completely separate writing music and lyrics. Matthias works on his songs alone and I work on my lyrics alone, that’s the only way we are used to. MPAP: Any overall theme of mood that you were trying to capture while writing the music and the lyrics? JJ: Cynicism and the satisfaction of it. MPAP: How would you compare Arson to your first self-titled release from 2012? How do you feel you’ve grown as a band since that first release? JJ: When we started this band in 2012, it was kind of an experiment. We just tried to write music we both were into, what was mostly Post Black Metal at this time. I think the experiment was successful, so this is where we are now, releasing our fourth full length and touring around Europe. Musically it’s still where we started, we just progressed and became better songwriters, but that’s it. MPAP: What did you learn from your last album, III: Trauma (2016), that you made sure to do, or not to do on Arson? JJ: Nothing. Maybe not distorting my vocals that much. MPAP: Going back for a second, another track that stands out on Arson is the bonus song called "Manifesto" that features female vocals. Tell us about this song and who shares the vocals with you? JJ: It’s two girls we know from Vienna, one of them, Leesa is our producer’s girlfriend. We chose this track because we both are very much into Indie music and always try to cover songs, that are far away from Black Metal. You will never hear us covering Darkthrone haha, as much as I like them. "Manifesto" is a perfect Indie song, and also the lyrics kinda fitted HFTS, this is why we made it a cover version. MPAP: After the February 16th release date, what’s next for the band? You go out on tour with the Netherland dark rock band, Dool, in March and bounce around France, Poland, Switzerland, and Germany. Is there another tour in the works after that? JJ: Let’s see. Maybe in Autumn we will travel some never foreign countries, but I am not allowed to talk about it at the moment. MPAP: On behalf of myself and Metal Pulp And Paper, I’d like to thank you, JJ, for doing this interview. 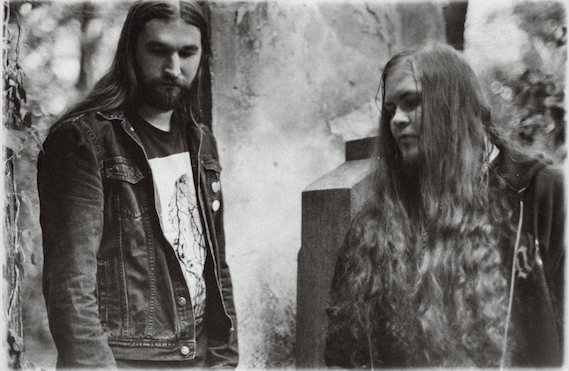 We look forward to what Harakiri For The Sky does for the rest of 2018 and beyond. Any last words you’d like to say before we bring this interview to a close? JJ: Thanks for the support. I’m in a hurry to catch the train to the first concert on the Dool Tour, so no last words. Stay gold.